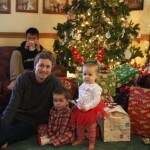 We had a lovely Christmas with our family. 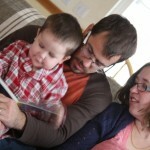 With more of our kids growing up and getting married, I’m thankful for each time that we’re all able to get together. 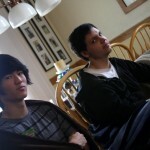 Here are a few of the pictures we took. 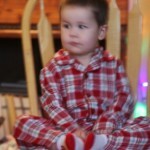 Light was dim, so there’s lots of blur, but the people are cute anyway. You should be able to click on photos to enlarge them. We’ve had some hard times this year, but we are so blessed by all the precious people in our lives. John and I are looking forward to some exciting things in the future as well. 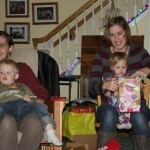 Our oldest daughter Amanda and her husband Ben are expecting their third baby in April. (They’re the ones in the ‘I Spy’ picture above.) Lidya will be graduating from the dental assisting program in May. Our oldest son is getting married in July! We also have several trips planned this next year, including some time on the beach, and hopefully a homeland trip to Ethiopia this summer with four of our daughters. What an adventure! To help fund that trip, for the first time in many years I’ve applied to work as a nurse again at a local hospital. Some of you may remember I was an OB nurse for 9 years. That’s what I’m hoping to do again– just 4 or 5 night shifts a month, so I’ll still be home most of the time. Kind of crazy to think of working outside the home again. The last time I worked was in 1998, just before Josh arrived, so it’ll be a job to catch up on the new technology. But it will be a nice boost to our income, and to tell the truth, I’m excited. I love helping women in labor and those first hours after birth. with a focus on affordable gluten free food — grocery lists, recipes, and everything else you need to plan gluten free menus a week at a time. I’m excited about that project and will keep you posted! 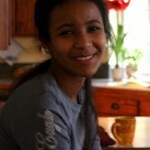 Do keep praying for my friend Lisa who lost her daughter Kalkidan in a car accident. 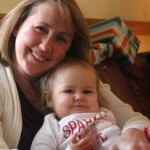 Lisa broke her hip and suffered nerve damage in the accident, and their van was wrecked. 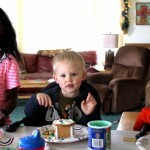 If you’re inclined to support them, there’s a fund to help with their expenses. 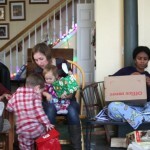 Money won’t heal their hearts, of course, but it is nice to think of easing their financial burdens at least a little. Tonight some of us are going to a New Year’s Eve party at church, and others of us will be staying home– we’ve got colds running around the house, and not all of us are up to partying late. I already took down the Christmas tree but the twinkle lights are still up and we won’t start school again til the week after next–so we will hang onto Christmas break for another week or so. Do you have interesting plans for the new year? I’d love to hear them. Thanks as always for visiting me here. And if you’re interested in getting a newsletter with more details about coming projects, just sign up in the sidebar on the right side. We’re down to the last full week before Christmas–does that seem crazy to you? I’m getting close to done with my shopping, but have at least half a dozen more items to find. 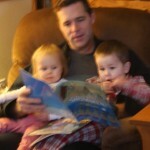 If you’re in the same boat and are on the hunt for books for your kids, I thought I’d share some my kids have loved over the years. Some of these I’ve shared here in the past, and some are new additions to the list. And just a heads up– amazon is currently offering 25% off any book (or book set) if you plug in the code BOOKDEAL25 when you place your order. 1. Inheritance 4-Book Set (Eragon, Eldest, Brisingr, Inheritance) by Christopher Paolini is about a farm boy who discovers he is really a dragon rider. 2.Percy Jackson and the Olympians (5 books) by Rick Riordan is a story about a boy who has adventures with Greek gods and sea monsters. 3. Shadow Children series by Margaret Peterson Haddix is based on the premise of a society where each family is allowed only two children, forcing any subsequent children to live in hiding. 4. Inkheart Trilogy by Cornelia Funke is about a girl catapulted into peril when a story read by her father surprisingly comes to life. These books have some language, but the storyline is utterly intriguing. 5. The Underland Chronicles by Suzanne Collins, the author of The Hunger Games. This series is about a boy who discovers a world under New York City where he is forced to fight giant rats, spiders, and bats, and in the process becomes an unexpected hero. the later books in the series get somewhat violent. 6. Warriors series: Volumes 1 to 6 by Erin Hunter This series is about cats who have great adventures. It was the very first series my 12 year old daughter really loved. 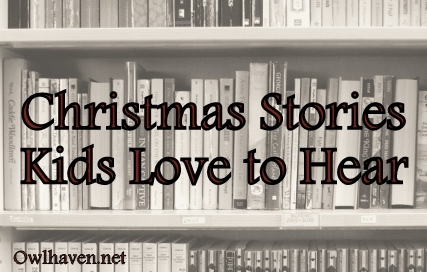 I hope some of these book ideas help you with your Christmas shopping. If you know of books that are inspiring and interesting for teens, I’d love for you to tell me about them in comments, below. As always, I encourage you to do some research and don’t be afraid to trust your instincts when deciding what is appropriate for your kids to read at various ages. This weekend I have the fun of attending the Joy for the Journey adoptive mom retreat in Lancaster, PA. 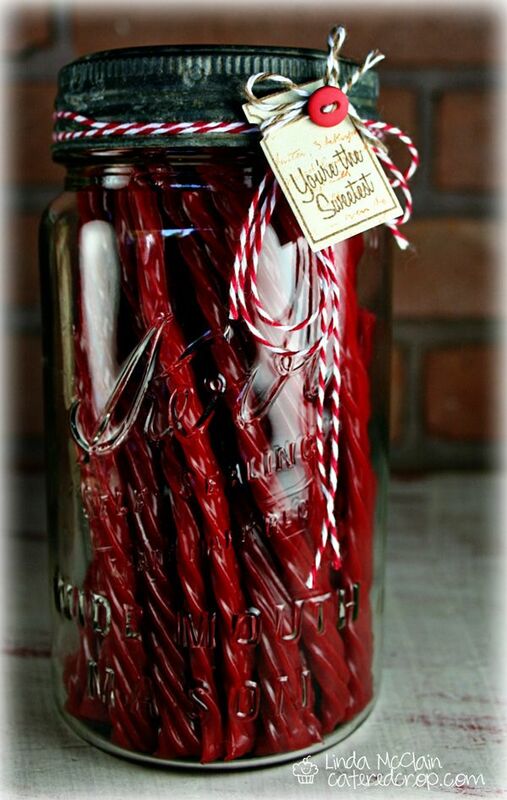 So instead of my usual frugality post, I thought I’d share some fun and frugal ways to decorate for the upcoming holidays. 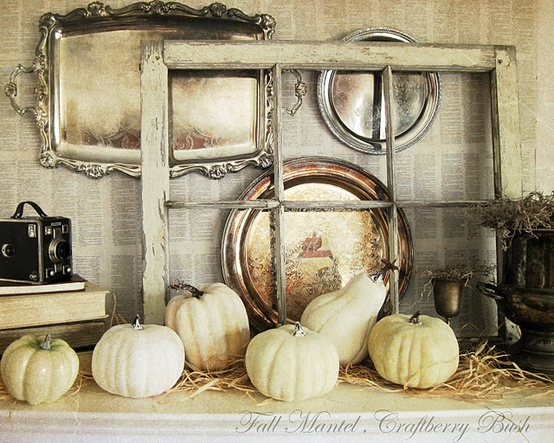 This silver and white decor could be lovely for both Thanksgiving and Christmas. 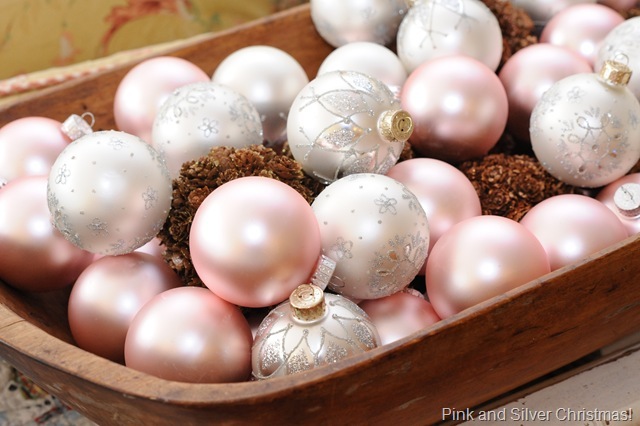 Lots of pretty ideas for Christmas balls– A big box of glass Christmas balls is $10 at Target or Walmart. Here are a couple of affordable and pretty ways to decorate pine cones. 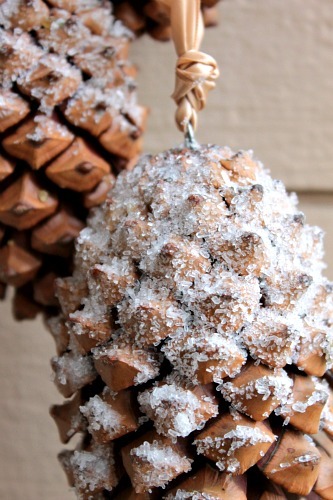 Dip a pine cone in glue and dust with Epsom salts for snow-sparkled pine cones. 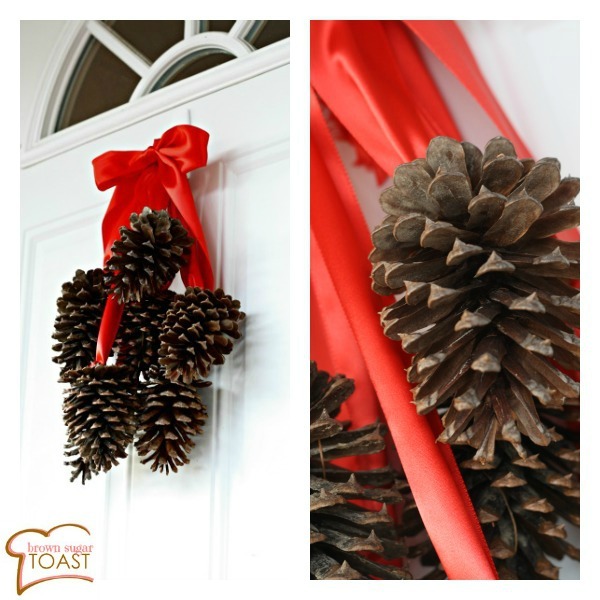 Or gather a bunch of pine cones with some red ribbon for a lovely alternative to a wreath. 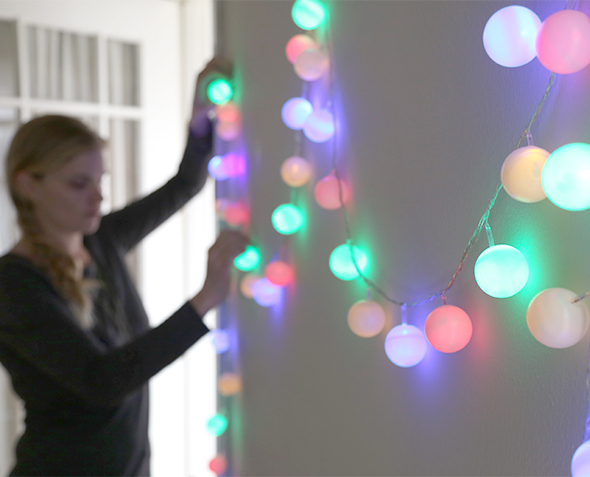 Did you know that you can slip ping pong balls over LED lights to make these lovely globe lights? 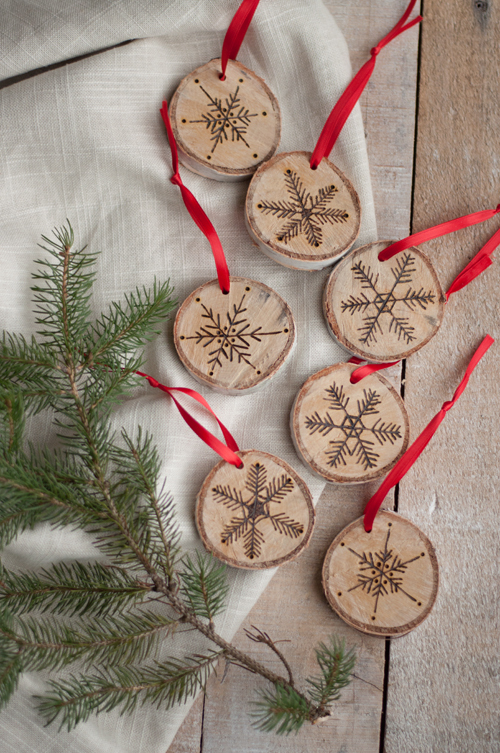 Then finally here’s a sweet craft you can make with some wood rounds and an etching tool. Before you buy decor items at full price, be sure to look at your local thrift stores and craft stores. Often thrift stores seem to be the depository for half-done craft projects, which makes them a great place to look for ribbon, yarn, silk flowers, and many other craft and decor items such as knitting needles, beads, crochet hooks, baskets, tins, and wreaths. If you have more ideas for affordable Thanksgiving and Christmas decor, I’d love to hear them! If your kids are like mine, they enjoy giving their friends gifts at Christmas time. The problem is, even a $5-$10 gift, multiplied by 3 or 4 or 6 friends, times whatever number of kids you have in your family, can add up to a lot of bucks. 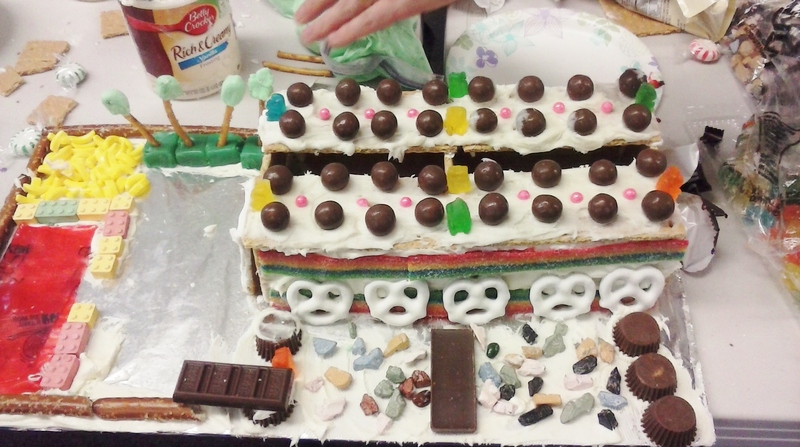 But if you can think of fun gifts that your kids can make for friends, suddenly gift-giving gets a lot more affordable– and a lot more personal. Here are a few gift projects that might spark a kid’s creativity and help solve the dilemma of gift-giving on a budget at your house. 1. 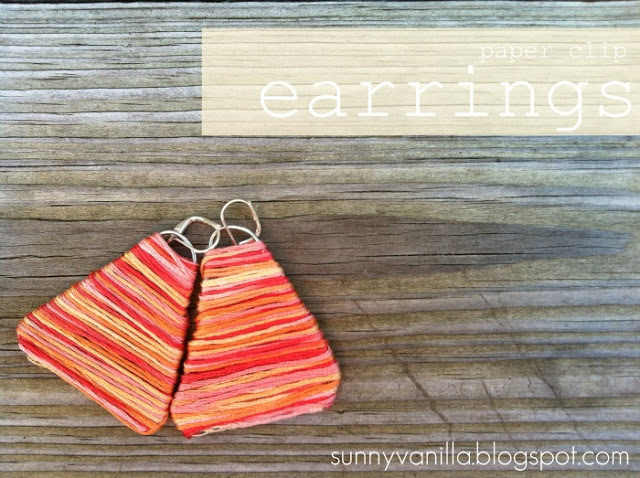 These paper clip earrings would be quick and fun to make, and could be done in any color, depending on the preferences of the gift recipient. 2. 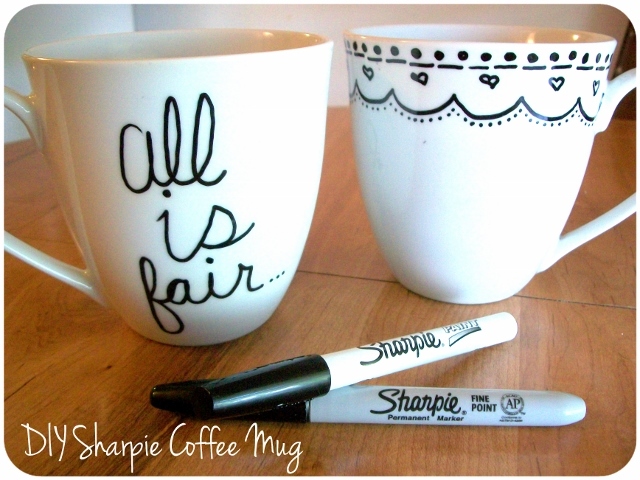 These coffee mugs decorated with sharpies would also be cute. Just make sure you follow the directions on the site and be aware that you’ll need to buy the right kind of sharpie. Not all sharpies are created equal. 3. 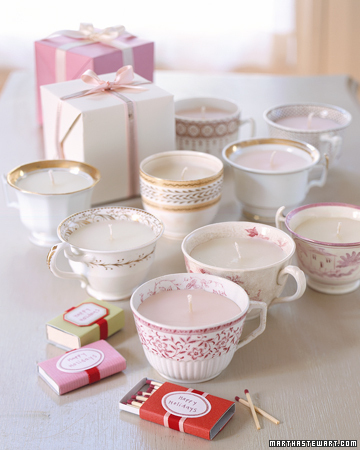 Fill a thrifted teacup with melted candle wax and add wicks (purchased at the craft store or on amazon) and you have a sweet delicate gift for a teen girl or maybe even a grandma. 4. 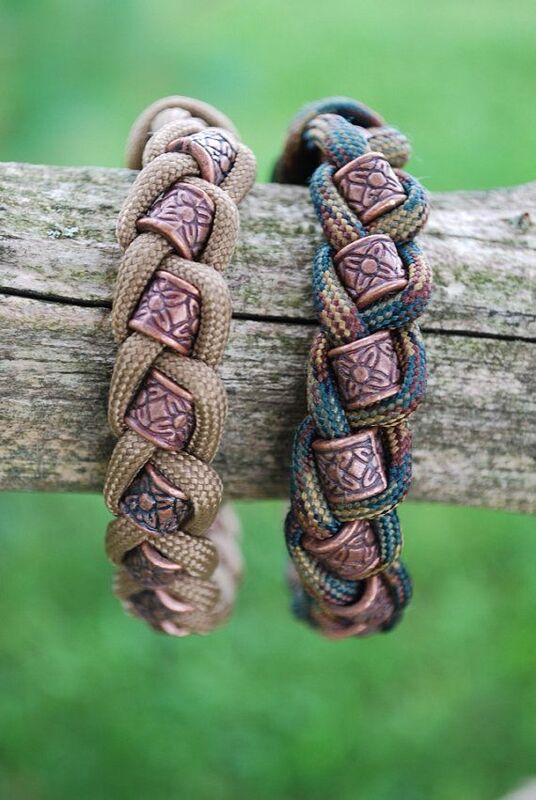 These paracord bracelets are completely awesome looking. I wasn’t able to find an exact tutorial, but my son who has made quite a few paracord bracelets says it isn’t a complicated design. 6. 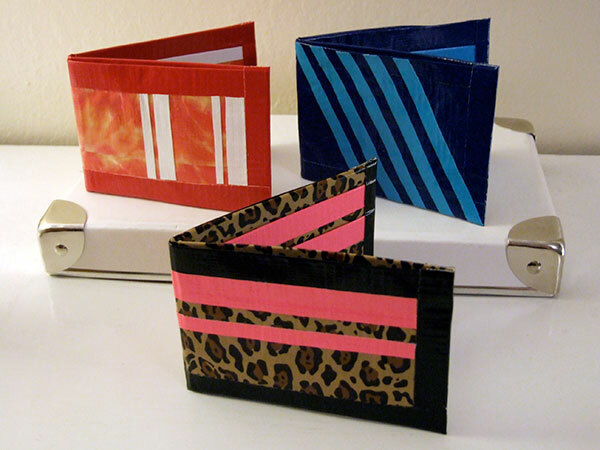 Duct tape wallets have been a popular project at our house for years. Here’s an easy tutorial. 7. 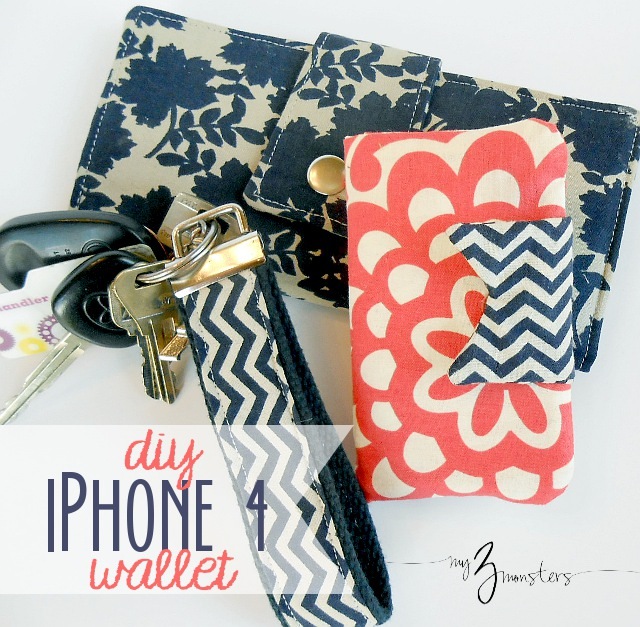 A teen who knows how to sew and is game for a more challenging project might enjoy zipping out one of these I-Phone wallets. You might even want to make one for yourself! 8. 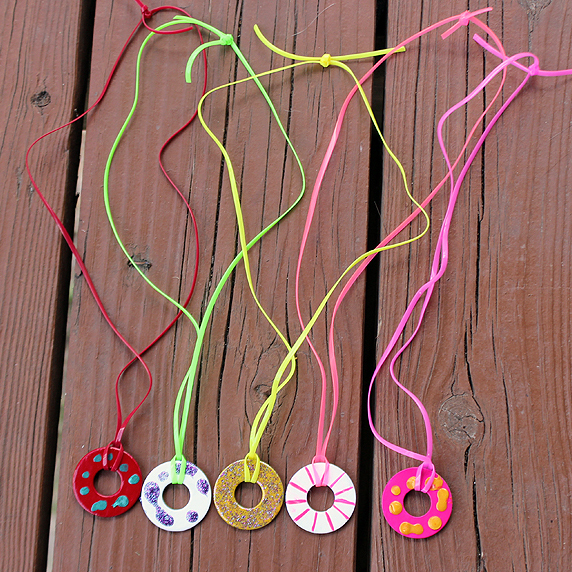 For a fun and colorful necklace, just use nail polish to decorate a washer in bright colors. 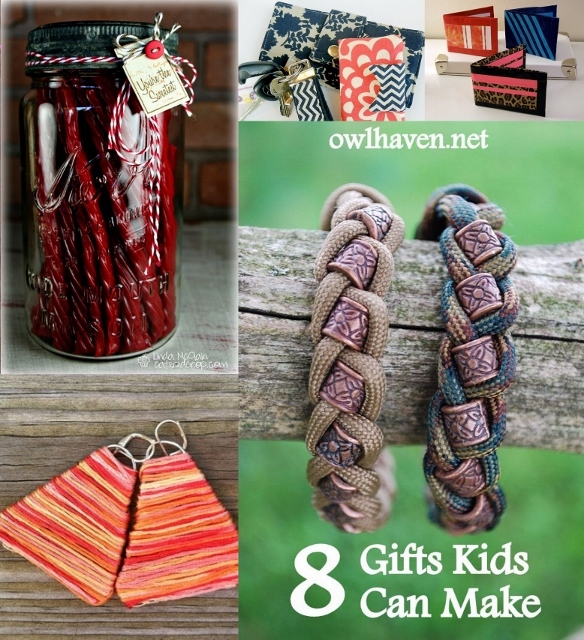 Be sure to visit the bloggers linked above to see the details of each of these great ideas! And happy crafting!! Last night we were invited over to my parents’ house for dessert and a few gifts. While we were visiting, my dad asked everyone to tell about a favorite gift they’d gotten a different year. 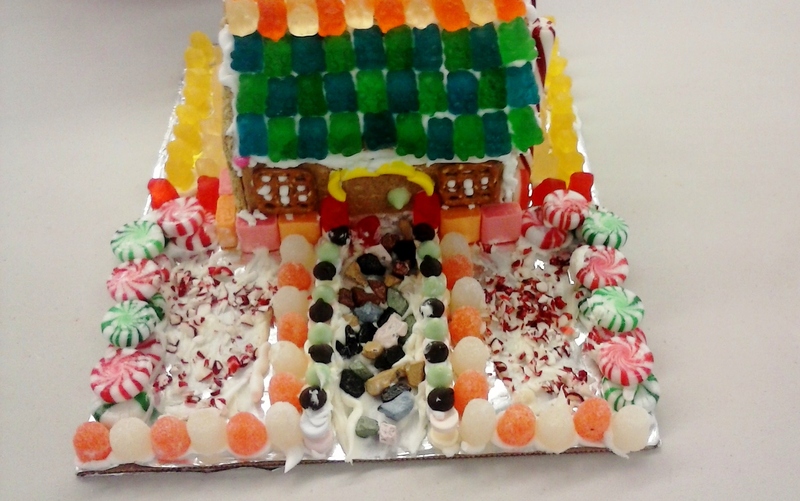 It turned out to be really fun going around the table and hearing what was most memorable to all the various people. 1. Tell us about a favorite gift from a different Christmas. 2. If you could eat only three foods for the rest of your life, what would they be? 3. What was a job you hated when you were younger? One that you like now? 4. What is one thing you wish had more time to do during the next year? 5. What is the bravest thing you’ve ever done in your life? 6. What is one adventure you’d like to have in the future? 7. What is the hardest thing about your current age? The best thing? 8. 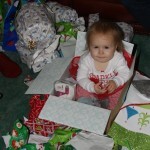 What is your earliest Christmas memory? Your best? 9. What’s the best compliment you’ve ever gotten? 10.What’s one thing you got better at this year? What would you like to get better at next year? Have any questions you would add to this list? I’d love to hear them. And here’s hoping holidays with your family will be treasured memories!